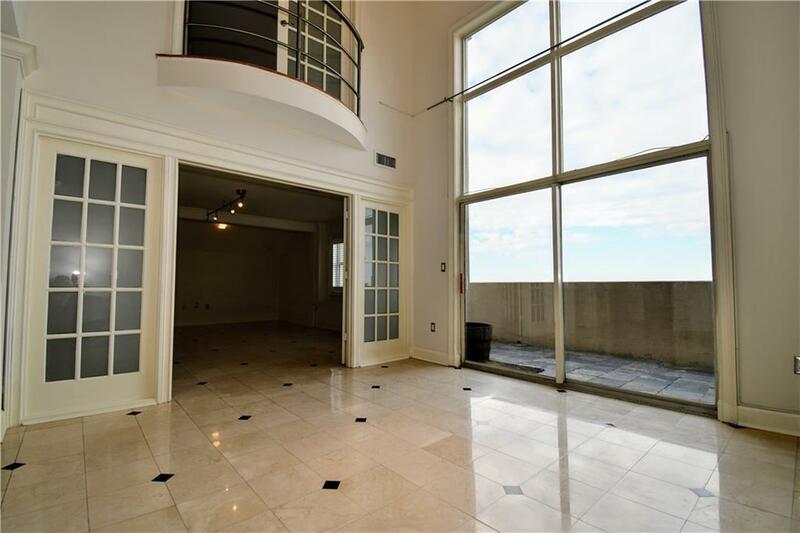 Breathtaking contemporary 2 story Penthouse w/phenomenal views. Travertine marble floors and soaring 2 story great room with 20 ft wall of window. 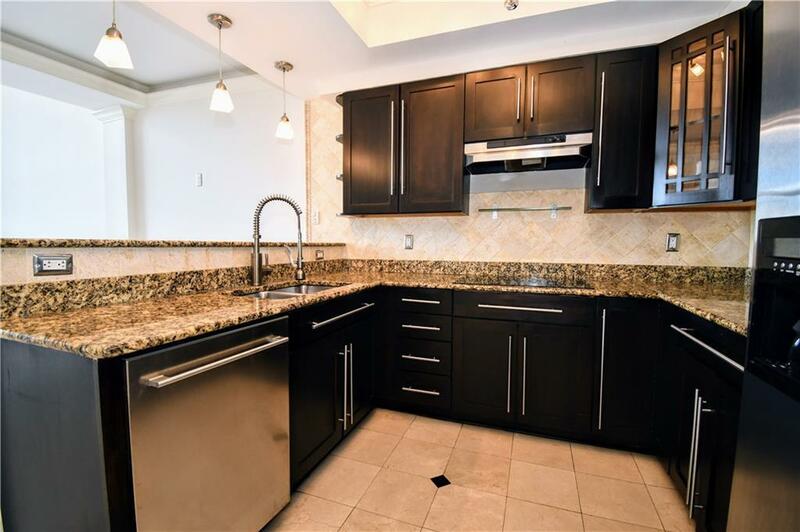 Stained cabinets, granite counters and stainless-steel appliances. 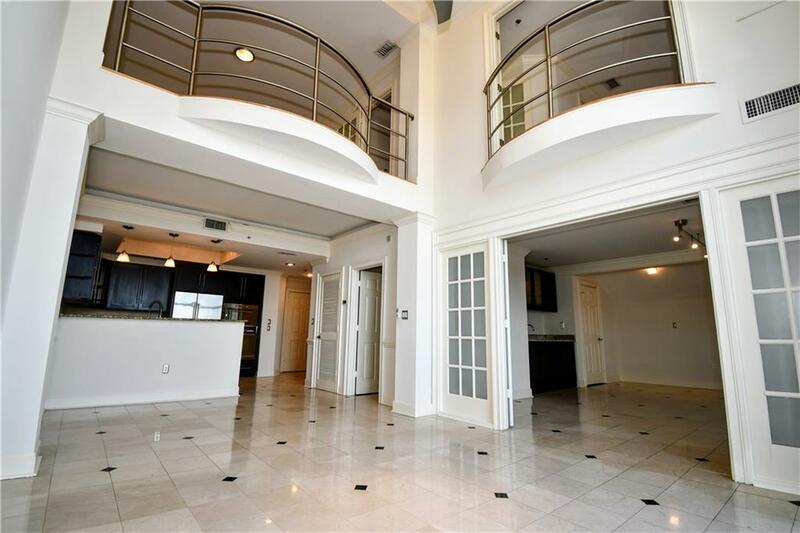 Two spacious bedrooms and bathrooms plus flexible loft area with Romeo Balcony. Wet bar. Tons of space including storage area in buildings basement. Private walk out balcony, ideal for entertaining. 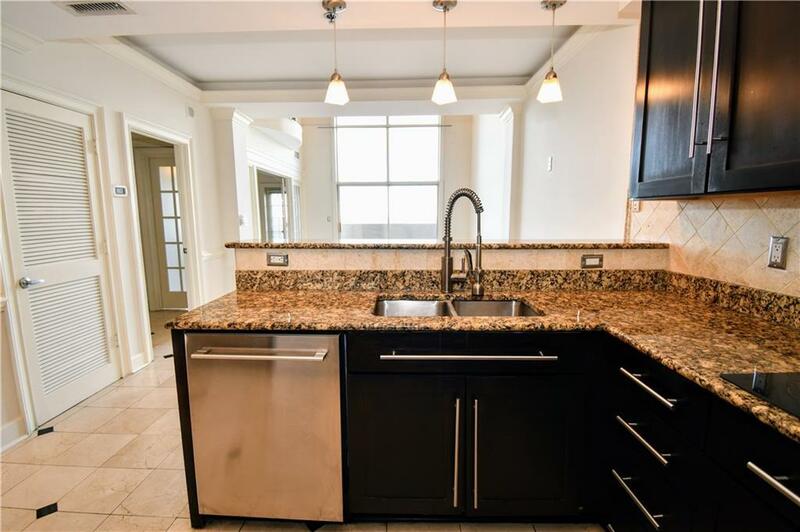 Great amenities-24 hour Concierge/Swim/Tennis/Business Center/Gym/Convenience store Spa. Near perimeter area and hospitals. Easy access to 400/285. Rare find!